“An immigrant leaves his homeland to find greener grass. A refugee leaves his homeland because the grass is burning under his feet…” (Law & Eckes). While the journey through education towards employment is challenging for every young Australian, it can present additional difficulties for students from refugee backgrounds, given that they have often experienced years of instability, trauma and disrupted schooling. Between 2015-16, the largest proportion of humanitarian visa applications in Australia were from 15–19 year olds (UNHCR Global Trends 2015). Education is key to effective resettlement, leading to better employment and health outcomes for individuals and economic benefits for society as a whole. However, schools often struggle to provide resources to fully support this very motivated and academically able cohort, and the social and cultural capital needed to navigate education and career pathways is missing. In particular, there is very limited support to students from refugee backgrounds in their transition into higher education. The STARS Refugee Education SIG seeks to enhance the emerging community of practice among academics and practitioners working to explore major issues in this field, and ultimately to better support students from refugee and asylum-seeker backgrounds to access and succeed in Australian higher education. During the networking session we will discuss major topical issues impacting the education of students from refugee and asylum seeker backgrounds, exchange research findings and best practice initiatives, and explore effective ways of working together moving forward. Ruth joined the Social Inclusion team at Macquarie University in January 2010, having previously worked with the University’s student services. Through previous roles with a global NGO and the UN Commission on Sustainable Development, she is very aware of the role of education in achieving social inclusion. She is passionate about ensuring that everyone has the opportunity to access and succeed in tertiary education, regardless of background. In 2010, together with the NSW Department of Education, Ruth established the LEAP-Macquarie Mentoring (Refugee Mentoring) program at Macquarie University, which was awarded the NSW Humanitarian Award in the Education Category in 2016 and was also a Finalist in the Australian Financial Review Awards in the Equity and Opportunity Category in both 2015 and 2016. 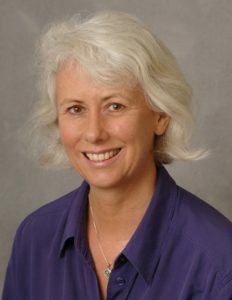 She has received National Priorities Pool (NPP) and Office of Learning and Teaching (OLT) grants (the latter with the University of Newcastle and Curtin University) from the Federal Department of Education to research the transition into higher education of students from humanitarian entrant backgrounds. She is also a founding Steering Committee Member of the national SIG on Refugee Education established in partnership with the Refugee Council of Australia and Multicultural Youth Advocacy Network (http://www.refugeecouncil.org.au/educationsig/). Dryden-Peterson, S. (2016). Refugee education in countries of first asylum: Breaking open the black box of pre-resettlement experiences. Theory and Research in Education, 14(2), 131-148. Due, C., Riggs, D. W., & Augoustinos, M. (2016). Diversity in intensive English language centres in South Australia: sociocultural approaches to education for students with migrant or refugee backgrounds. International Journal of Inclusive Education, 20(12), 1286-1296. Earnest, J.; Joyce, A.; de Mori, G.; Silvagni, G. (2010) Are universities responding to the needs of students from refugee backgrounds? Australian Journal of Education, 54 (2): 155-174. Ferfolja, T. & Vickers, M. (2010) Supporting refugee students in school education in Greater Western Sydney. Critical Studies in Education, 51 (2): 149-162. Kong, E., Harmsworth, S., Rajaeian, M. M., Parkes, G., Bishop, S., AlMansouri, B., & Lawrence, J. (2016). University transition challenges for first year domestic CALD students from refugee backgrounds: a case study from an Australian Regional University. Australian Journal of Adult Learning, 56(2), 170. Law, B., & Eckes, M. (2000). The more-than-just-surviving handbook: ESL for every classroom teacher (2nd ed.). Winnipeg: Portage & Main Press. Lawrence, J. (2016). University transition challenges for first year domestic CALD students from refugee backgrounds: a case study from an Australian Regional University. Australian Journal of Adult Learning, 56(2), 170. Naidoo, L., Wilkinson, J., Langat, K., Adoniou, M., Cunneen, R., & Bolger, D. (2015). Case Study Report: Supporting School-University Pathways for Refugee Students’ Access and Participation in Tertiary Education. Penrith, NSW. : University of Western Sydney. Thomas, R. L. (2016). The Right to Quality Education for Refugee Children Through Social Inclusion. Journal of Human Rights and Social Work, 1(4), 193-201.